Going outside and getting some sunlight, even for as little as five minutes, can help drive away the winter blues. It’s a recommended treatment for Seasonal Affective Disorder (SAD) which is sometimes called winter depression. Even if it’s cold and cloudy, outdoor light exposure can help lift your mood. Green exercise, which is exercising in the presence of nature, is thought to have unique benefits that go above and beyond indoor exercise. As well as increasing the serotonin levels in our body, which improves feelings of well-being and happiness, spending time in green spaces can help decrease tension, stress and even anger. If you’re trying to solve a problem or come up with a new idea, try taking a walk outside. One study found that walking outdoors increased 81 percent of participants’ creativity. In a separate study, in 2012, a group of backpackers were given a series of creative thinking puzzles. After they had spent four days trekking they were retested, and they performed almost twice as well which led researchers to conclude that nature has a positive effect on cognitive thinking. Vitamin D is sometimes called the sunshine vitamin because it’s produced in your skin in response to sunlight. Ensuring that we get enough Vitamin D is vital as it has several crucial functions. As well as regulating the absorption of calcium and phosphorus, it ensures a normal immune system function. It’s also important for the normal growth and development of bones and teeth, as well as improved resistance against certain diseases. If your body doesn’t get enough vitamin D, you’re at risk of developing bone abnormalities such as soft bones (osteomalacia) or fragile bones (osteoporosis). Even on a grey and cloudy day, getting outside can help your skin create Vitamin D.
Poor sleep patterns can be caused by a variety of issues, but they are generally regulated by something called the circadian rhythm. Our circadian rhythms are naturally linked to the sun’s schedule. Apparently, spending too much time indoors can greatly affect our natural rhythms, and, as a result, disrupt our sleep patterns. That’s why routine exposure to sunlight in the mornings can help correct your sleep cycle. Walking is one of the easiest ways to get some outdoor exercise. Cosyfeet has a range of products that are ideal for winter walking. 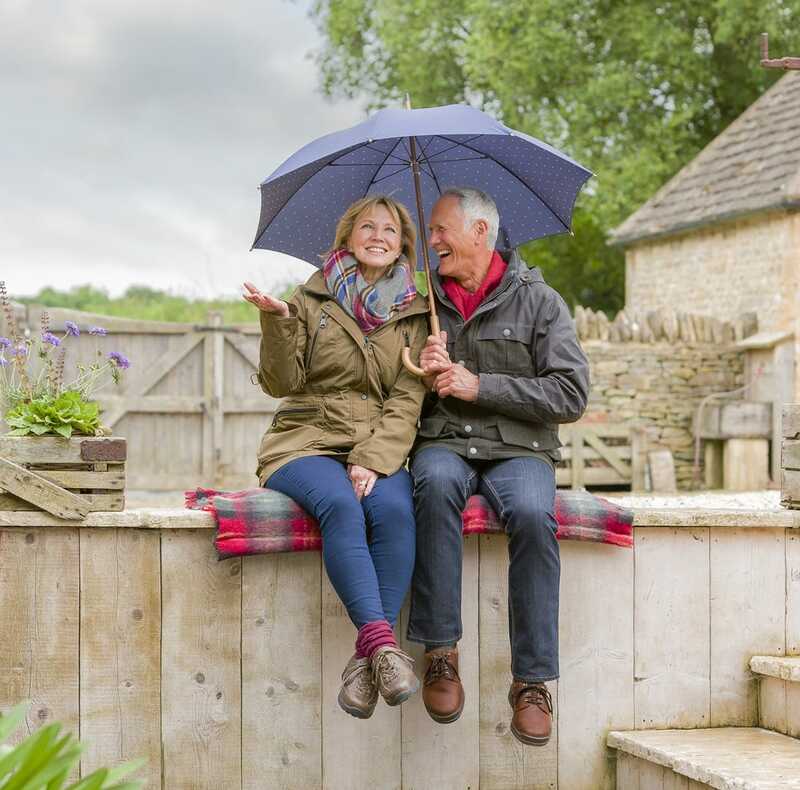 Our 100% waterproof boots and shoes for men and women will keep feet warm and dry, whatever the weather. Specially designed to fit swollen feet, this footwear has a shock-absorbing, cleated sole which offers good grip underfoot so it’s ideal for walking the dog on rainy days. Choose from Minnie and Moose for women and Stanley and Livingstone for men. Wearing the right socks is just as important as wearing the right shoes. Our Active Wool Seam-free Sock is a superb sock for walking. Stretchy and cushioning for comfort, it’s also breathable, anti-bacterial, odour resistant and great at absorbing moisture. Make walking more comfortable with a specialist insole. Our Shock-absorbing CosyCushion™ Insoles are made from a bouncy, cushioning material while our Duosoft Plus Insoles are ideal if you have arthritis or very sensitive feet. If you need a bit of extra support when you’re out and about, we’ve also got a good range of walking sticks and rollators in our Walking Collection. And if you’re planning on going for a longer walk, why not take the pressure off your knees with our Folding Hiking Pole. It helps increase your stability and reduces the impact of walking on your knee joints and legs. It also folds easily for carrying in your bag or rucksack.